Just looking at the recently redesigned Balance will tell you pretty much all you need to know about it. In fact, you might not even need to keep reading. Just keep looking at it. Its lines are as mean and evocative as those of a DH bike. Every gusset, every pivot and every piece of hardware appears to be bracing for war. 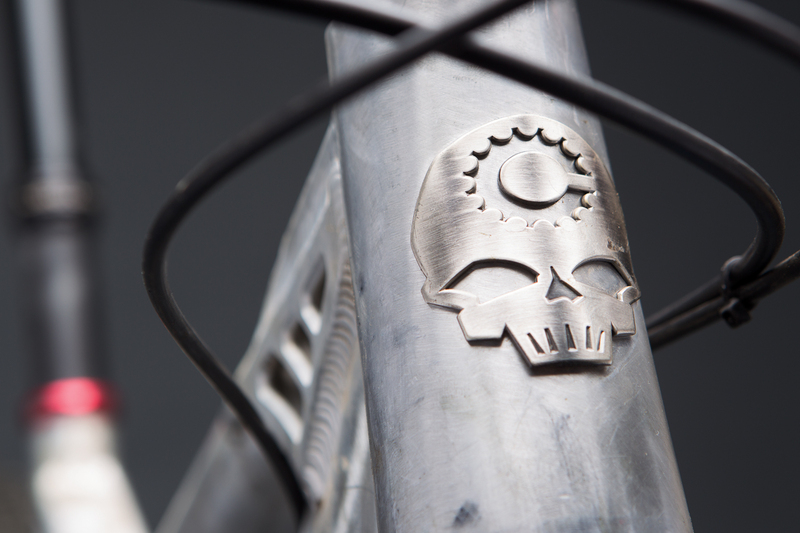 Oh, and it's got a skull on its headtube, and the name Canfield on its downtube. The Canfield brothers first set torch to metal in the late nineties. At the time, the existing DH offerings weren't refined enough or radical enough to perform how Lance and Chris wanted them to, so they came up with their own. Like other cutting-edge designs in its category, the Balance is definitely refined and radical. 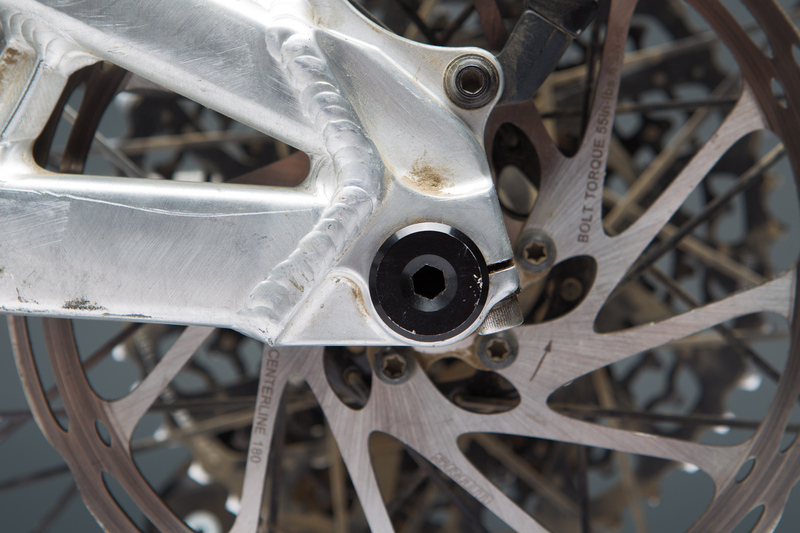 It checks every box on the modern all-mountain geometry application. Low bottom bracket, slack head angle, long reach and incredibly short 16.5-inch chainstays. Its 165 millimeters of rear travel gently nudges it into the enduro category, but that depends partly on the build. Until now, that build would depend entirely on you. For the first time, Canfield is offering complete builds on their most popular frames, including the Balance. Since the beginning, Canfields have been sold consumer-direct and, of course, are still available as bare frames if you happen to know exactly what you want. They can even be ordered without a rear shock. 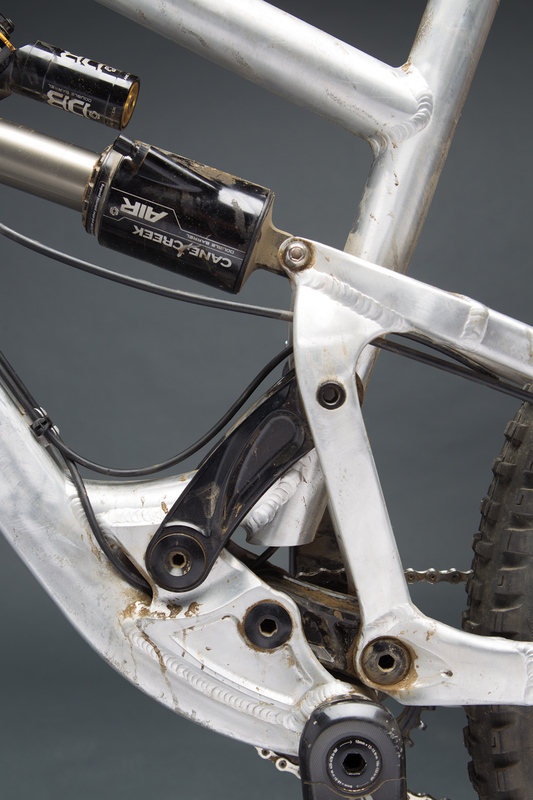 With a Cane Creek Double Barrel Air CS, the Balance frame goes for $2,100. Or opt for a tuned-to-order DVO Jade coil for an extra c-note. That entry fee is pretty reasonable for a frame this unique and this durable, but choose carefully if you're speccing it on your own. Our test bike's posh build weighed in at just over 31 pounds without pedals. Not an easy thing to do when starting with a 9 pound frame and shock. Most of that weight, though, is concentrated low and near the Balance's center, keeping it light under foot. If you've got room to splurge on any one particular component, a set of carbon wheels might be the most impactful way to mitigate the extra weight. Canfield has been using nothing but parallel link designs from the get-go, and they've been getting refined since ninety-nine. Unlike the dramatic rearward arch of their DH-only Formula One linkage, CBF follows a more vertical path, allowing for anti-squat that hovers around the optimal but elusive 100 percent in most gears and through most of the stroke. Canfield's suggested base tune on the Double Barrel is right up my alley: 33-percent sag, moderate low-speed compression damping and minimal high speed. That's all music to my ears, but it's not an easy tune to climb to. Canfield's bold promises about the Balance's pedaling capability would be hard to fulfill. Although I normally ride in clips, I threaded in some flats for a few days to try walking a mile in the 5.10s that most riders would probably prefer. Even without the benefits of clips, I never felt a hint of pedal bob. But the deep sag got deeper on the uphills, and it left me fighting the bike's aggressive geometry. Cane Creek's techy Climb Switch helped immensely, as did the relatively steep resting seat angle, but I couldn't get comfortable on steep ascents. I spent some time trying a little less sag, but that sacrificed the Balance's stellar performance over high-speed chatter. After experimenting with the endless configurations on the DB, I eventually returned to the factory settings. And soon, I learned to love them. After all, it's no use fighting nature. As its looks suggest, the Balance's nature is to go downhill. It has the unmistakable stance of a DH bike, which is most at home when gravity is at its back. If you give it the old parking lot bounce test, it will (and should) feel awkward on flat ground, but will be utterly majestic in a steep rock garden. This also means that the Balance is not meant to be a plaything. The CBF linkage is not impressed by your unnecessary preload skids or your bunny hops off curb cuts. It simply gives you traction and asks for throttle. This took some getting used to given that I prefer to ride trails like I'm playing pinball. But this bike is all business. The rear travel is remarkably consistent and stays linear until late in the stroke. Like a DH bike, the Balance is most at home with its tires planted in the dirt. Unlike a DH bike, it's also at home twisting and finessing through slow and moderate speed sections that you wouldn't find on a world cup course, but that are probably abundant in your own backyard. The Balance stands out because of its mix of responsiveness and stability. That was the balance I found in the Balance. Not a machine between XC and DH, but one between rally car and trophy truck. The geometry is fast enough to keep up with you, while the suspension tempts you to be fast enough to keep up with it. It's a rare treat to have a rig this capable and this portable. The Balance is a shining, polished aluminum example of why small brands are so rad. The Canfield brothers know just what kinds of riders their bikes are for because they are those kinds of riders.